Vinayaka Mission's Kirupananda Variyar Medical College, Salem was started in 1995, Approved by the Government of Tamilnadu. Government of India and UGC, New Delhi. Listed in WHO Directory of World Medical Schools. Recognized by Malaysian Medical Council, Malaysia. Post Graduated programmes started from 2006 - 2007. 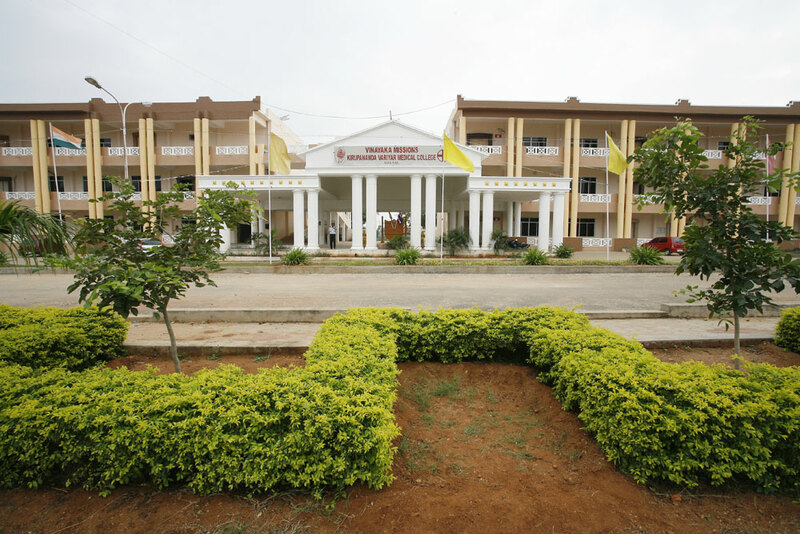 It became a constituent college of Vinayaka Mission's Research Foundation in 2004. The institution is located in the rural area of Salem, South India in a vast area of 51 acres. The institution is running UG and PG programmes medium of instruction in English, with 23 well established departments recognized by Medical Council of India. Established in the year 2000. Approved by the Government of Puducherry. Government of India and UGC, New Delhi. Recognized by the Medical Council of India, New Delhi. Listed in WHO Directory of World Medical Schools. Recognized by Malaysian Medical Council, Malaysia. Post Graduated programmes started from 2007 - 2008.